When you begin and end correspondence, do you think about the greeting or closing you use? If not, maybe you should! Some standard greetings and closings work well for most correspondence. But certain types of correspondence, such as a cover letter, call for a more formal greeting and closing, while others, such as an email to a colleague you know well, call for a more informal beginning or end. At first, knowing which greeting and closing to use may seem complicated. But it can actually be quite simple. 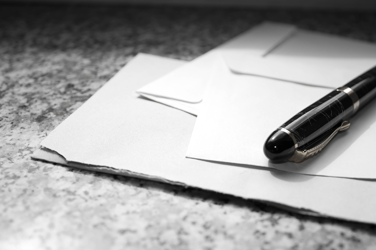 Here are some guidelines to help you choose the appropriate ones for your correspondence. A salutation is a greeting that you use at the beginning of a letter or an email, to address the person you’re writing to and to set the tone of the message. In letters, most salutations begin with the word “Dear.” Sometimes people who aren’t used to English letter-writing conventions feel that this is far too friendly a beginning! But don’t worry; English-speaking readers won’t think you’re being affectionate if you call them “Dear.” This is the standard way to begin a salutation in English, even in formal letters. “Hello” and “Hi” are also common salutations. They’re more likely to be used in less formal correspondence, such as emails. For more information, check out the Language Portal of Canada’s writing tip called business letters: salutations and the Translation Bureau’s linguistic recommendation on gender-inclusive writing in correspondence. A complimentary close is placed after the body of the message as a way to politely end the correspondence. The complimentary close you choose depends on how formal the correspondence is and how well you know the person you’re writing to. “Sincerely,” “Yours truly” and “Cordially” work well for most forms of correspondence. With these guidelines and resources, you should now be able to choose the right salutations and complimentary closes for your correspondence. Which salutations and complimentary closes do you use most often? Are there any that you find particularly useful? Share your thoughts in the comments section. 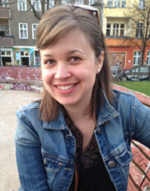 Natalie worked as a translator at the Translation Bureau for five years before accepting an assignment as a language analyst at the Language Portal of Canada in 2015. She is a self-proclaimed language nerd (or “wordie,” as she prefers to be called) who enjoys sharing her love and knowledge of language with others. Very helpful mini lesson for those who need to write English properly. Your site is well documented and very useful.